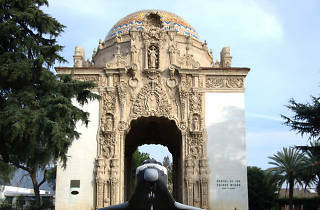 This ornate domed arch started out in 1924 as the grand entrance to the Valhalla Memorial Park Cemetery, though noise from the neighboring airport (now Bob Hope Airport) ultimately redirected traffic to the other side of the cemetery. 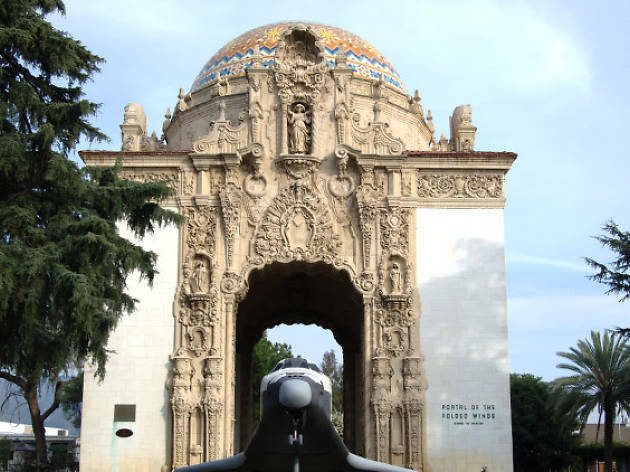 Since 1953, the portal has served as a mausoleum and memorial to early aviation pioneers, including a plaque dedicated to Amelia Earhart and a model of the Space Shuttle Columbia. You can catch a glimpse of the shrine from the dead end on Valhalla Drive, but you'll have to enter the cemetery from its Victory Boulevard gate for a closer look.